Well here’s a fun event! 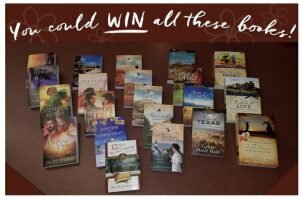 Barbour Books is giving away a huge Women’s Fiction 20-Book Package in a contest that ends Oct. 27, 2017. 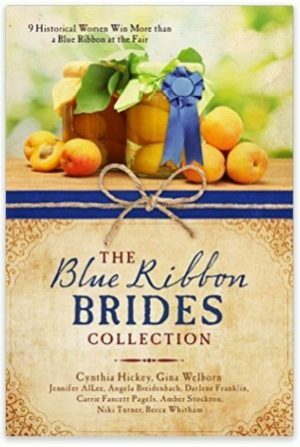 Blue Ribbon Brides Collection, including Seven Medals & a Bride by Angela Breidenbach, bestselling Montana author. Enter the Barbour Books giveaway by signing up for the newsletter and you could WIN all 20 books! By submitting your email address, you understand that you may receive commercial email communications from Barbour Publishing/Christian Fiction for Women and that you may unsubscribe at any time. Click here to learn more. Void where prohibited. Open to permanent legal residents of the 50 United States and the District of Columbia who are 18 years of age or older. Employees (including authors and families of employees) of sponsor Barbour Publishing, Inc. are ineligible. Entries must be received by Oct. 26, 2017. All entries must be complete to be valid. One grand prize winner will receive the 20 books listed above. The odds of winning depend on the number of entries received. Many will enter. One will win.